The MXT101MMHQ High Resolution VGA Cable (6ft) is designed to provide the highest video quality possible through VGA, ideally suited for high resolution applications of 1920x1200 and above. 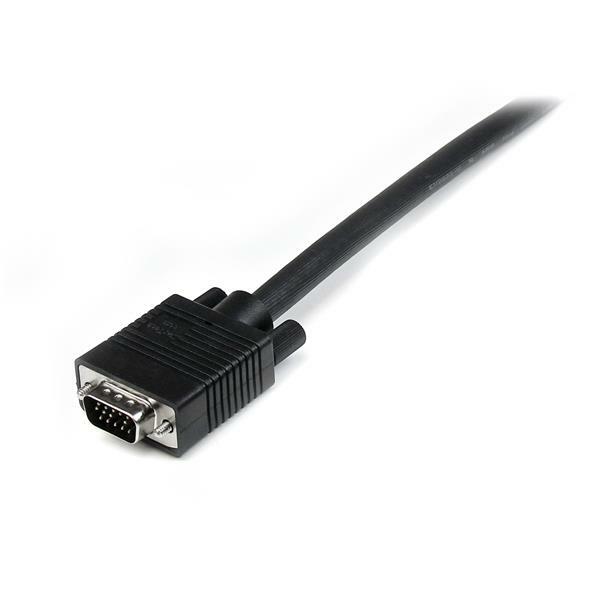 This durably constructed coaxial VGA video cable (HD15 to HD15) eliminates the picture "ghosting" and fuzzy images that are inherent to non-coaxial VGA cables, while delivering superior EMI interference protection by using ferrite cores near the connector ends. 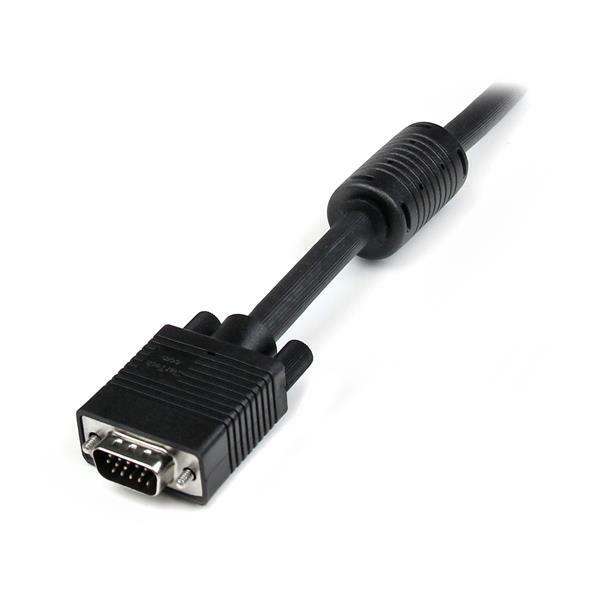 Why does this VGA cable not have pin 9 while others do have it? There are two types of VGA cables: 14-pin and 15-pin. 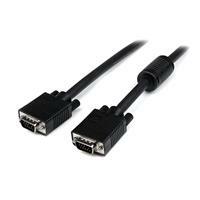 14-pin cables will work in most applications, but 15-pin cables may be required for wider display compatibility. 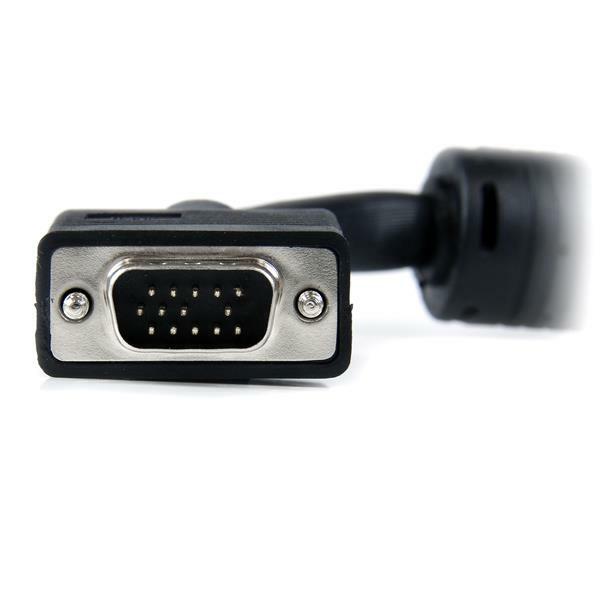 This product is a 14-pin VGA cable. Pin 9 was removed from 14-pin cables because the key signal became obsolete with modern computer monitors and was no longer used in the default applications of the VGA standard. However, Pin 9 has recently been reintroduced as a power supply pin to power circuity in certain displays. This pin does not power an entire display, but it is required for data communication between the display and the computer. The data communication between the display (Display Data Channel or DDC) communicates display information such as maximum resolution and the name of the display. If you are unsure which cable type you require for your application, you can check the manufacturer specifications. Typically, computer monitors only require 14-pin cables and televisions require 15-pin cables. 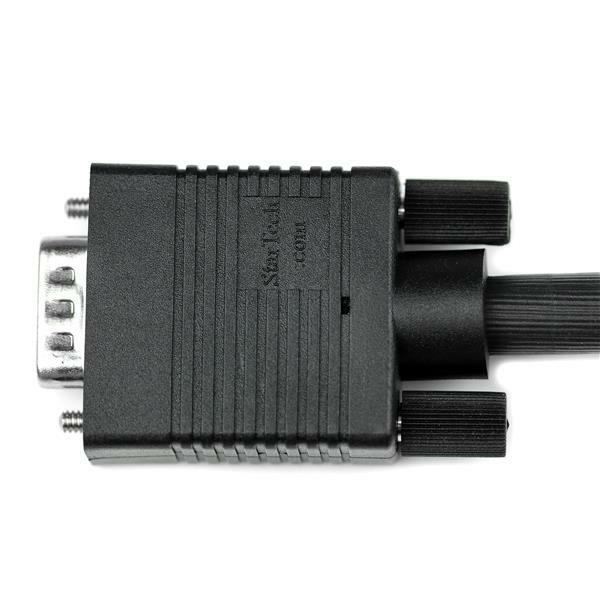 If you require a 15-pin VGA cable, see the following FAQ: http://www.startech.com/faq/vga_cables_14_pin_vs_15_pin_15_pin_version. Use the video cables, source, and destination in another setup to see if the problem is with the components or the setup. Use a different video cable, source, and destination in your setup to see if the problem persists. Ideally, you should test a component that you know works in another setup. 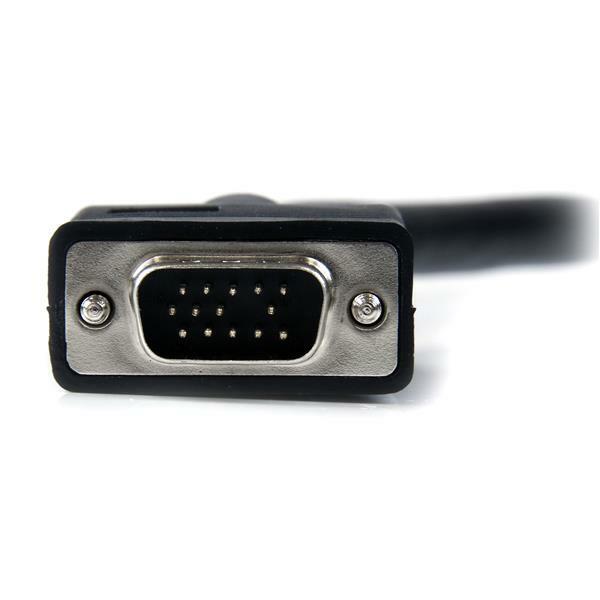 There are several issues that could be causing you to experience an issue with the color on your VGA display when you use a StarTech.com VGA cable. Issues with the color include an image that is a solid color or is missing colors (typically red, green, or blue). The cable is tightly screwed into each of the ports. The female connectors/ports are free of debris or anything that may prevent electrical conductivity. No pins are bent or missing in male VGA connectors/ports.